Inevitably in the month of September, I always buy myself a birthday gift. Is that wrong? But, I always really NEED it, whatever “it” is. 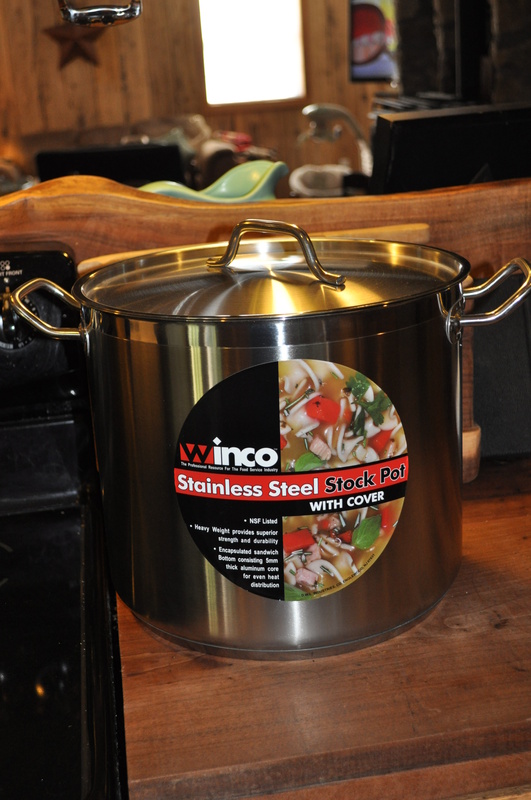 An awesome 20 quart, stainless steel pot for canning! I am already in love with this pot! 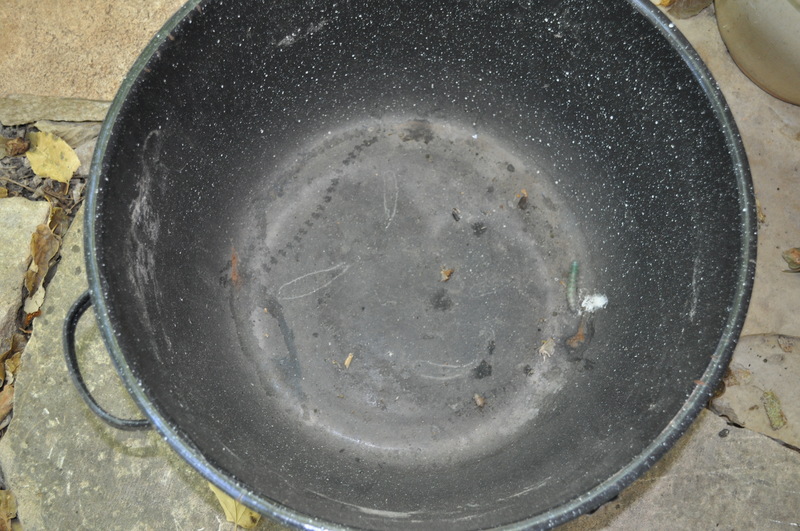 It replaces this pot, which I had been using … mom’s old enamel canning pot. It has seen better days, as you can tell. It has now been relegated to the out-of-doors. I see a worm of some sort has already claimed it as home. Gross. 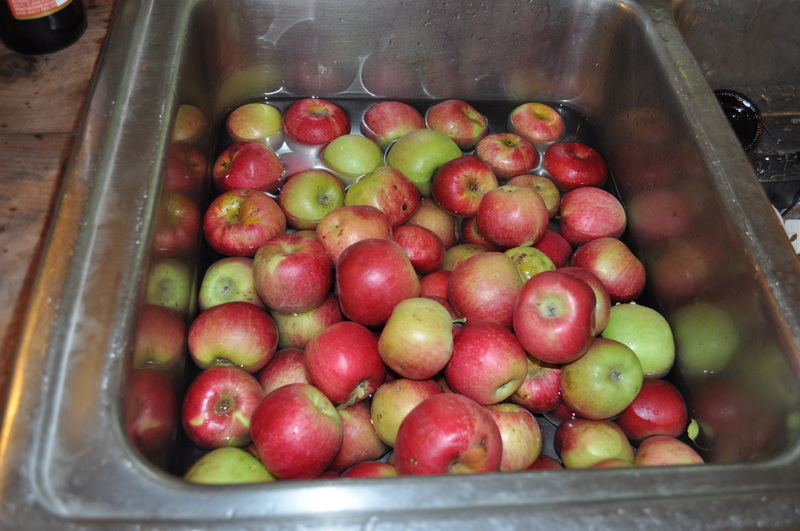 Knew I needed a new pot for all of these apples. 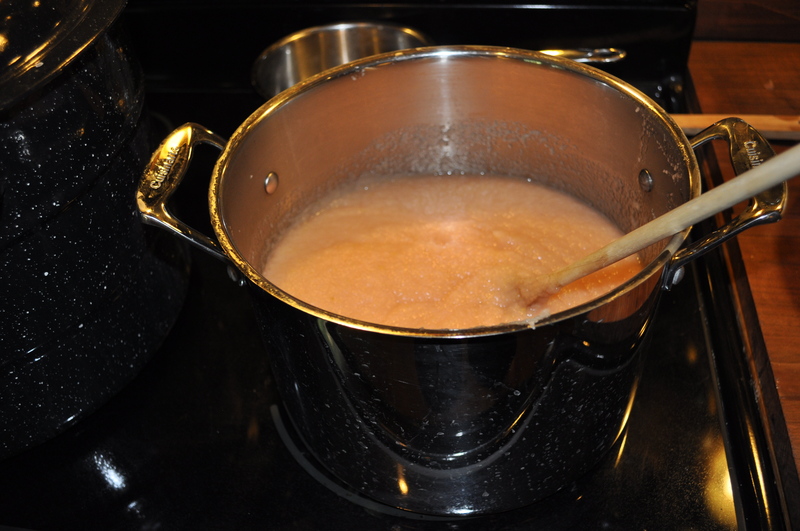 One batch of applesauce – DONE! 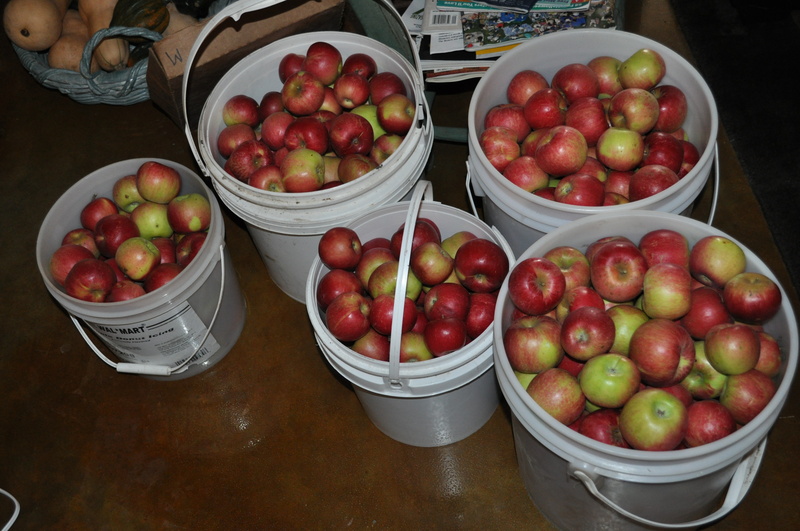 More applesauce and apple butter to come later this fall. 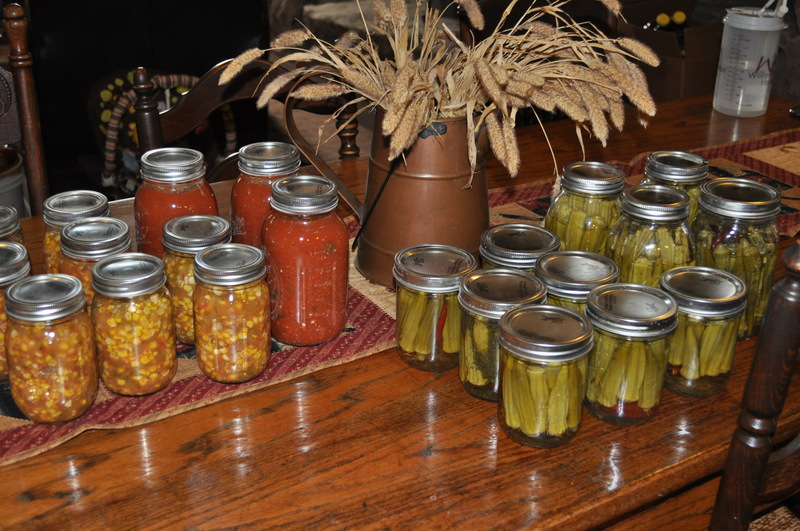 With the expansion of our family this summer, I haven’t done much canning – just a little corn salsa, my pasta sauce, some pickled okra, and now applesauce. Hopefully the tomatoes will hold out, and I can can all the way up to November!